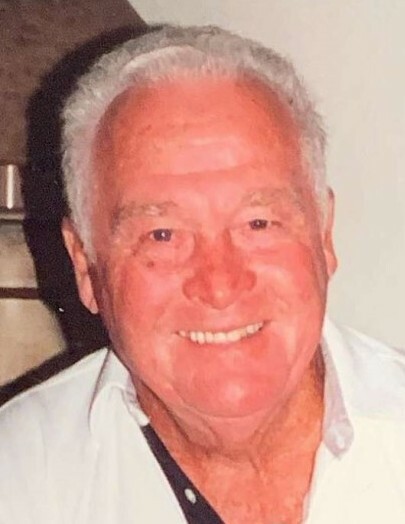 Robert Edgar Fretwell, age 89 of Lake Butler, Florida went home to be with our Lord and Savior on March 16, 2019 following a brief illness. He was born on August 7, 1929 and was the youngest of 8 children. Robert (Bob) grew up in Daytona Beach, Florida and attended Mainland High School and graduated in 1949. He was the President of the Student Body in 1948-1949 and excelled in sports, playing football, basketball, baseball and track. After he graduated, Bob worked for Ruland Brothers Plumbing in Daytona Beach until 1951. In 1951 he was drafted into the United States Army at Ft. Jackson, SC where he served until April 1953 and received an Honorable Discharge as a corporal. In 1954 he went to work for Bell South Telephone Company where he worked in the cable repair service for over 36 years. He served as a union steward with the Communications Workers of America Local 3102. In October 1990 Bob retired from the phone company and he and Nora moved to Lake Butler. He is survived by his loving wife of twenty-nine years, Nora Bryant Fretwell, four sons Gary Fretwell (Sandra), of Denver, CO, Randolph Fretwell, Lake Butler, Phillip A. Fretwell (Louise), Birmingham, AL , Michael H. Gray (Rosemary) Cologne, MN, a stepson, Victor Mendell, Lake City, Stepdaughters Melanie Ellington (Ricky), Lake Butler, Cherri Ohmer (Patrick) Jacksonville, Gale Woodham, Graceville, and Sherry Jean Mendell, Lake Butler, nine grandsons Jonathan, Tristan, Bobby, Christopher, Phillip Fretwell, Ryan Fanguy, Brandon Gray, Garrett and Garth Ellington. Six granddaughters Amber Hughes, Stephanie Bryant, April Dennison and Erica Manglona, Melinda Crowley and Caraline Coombs. In addition he had 19 great grandchildren and many nieces and nephews. Bob was preceded in death by his parents, William S. Fretwell and Dora Rampey Fretwell; three brothers John H. Fretwell, Charles R. Fretwell, and Marvin S. Fretwell; three sisters Stella S. Hayes, Leila Ellen Fretwell, Annie Ruth Armstead a half-sister Willie Lee Northrip and one step son Billy C. Cribbs. Services will be held Wednesday, March 20, 2019 at First Baptist Church of Lake Butler. Visitation will begin at 9:30 AM followed by a Celebration of Life service at 10:30 AM. An internment will be held at Greenwood Cemetery, 320 White St, Daytona Beach Florida at 3 PM.